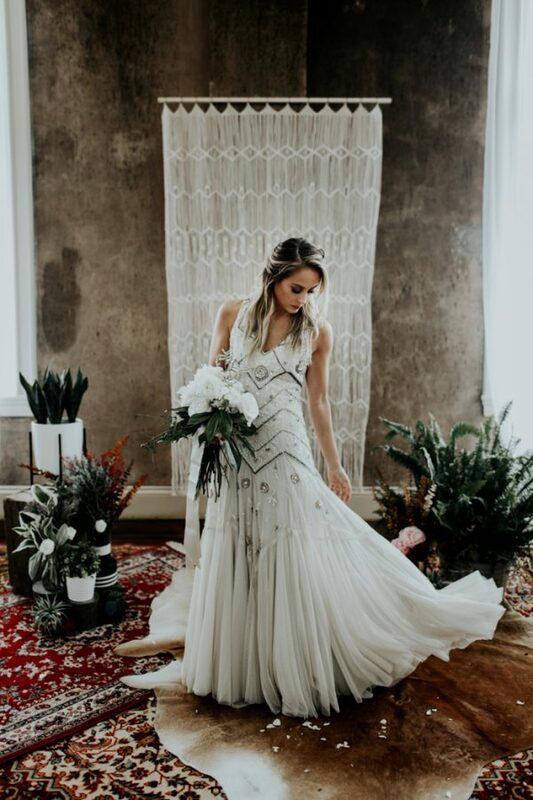 If you are looking for amazing and creative ideas for your boho or industrial wedding, today’s shoot is right what you need! 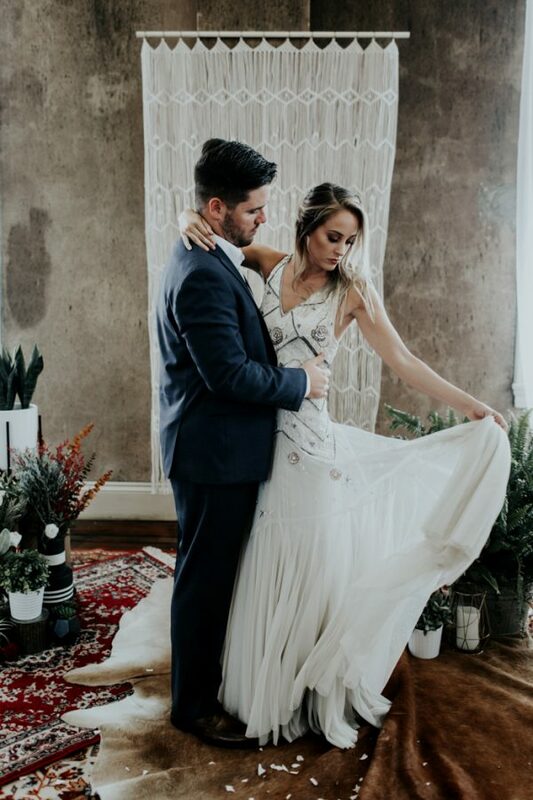 This industrial bohemian wedding inspiration has us weak in the knees. 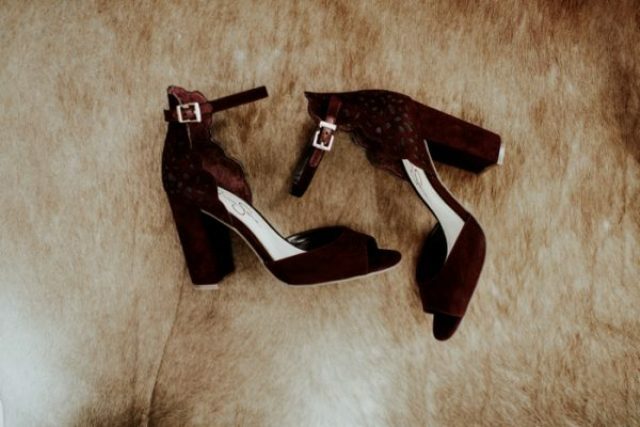 The bride and groom not only looked sharp, but they had chemistry worth swooning over. 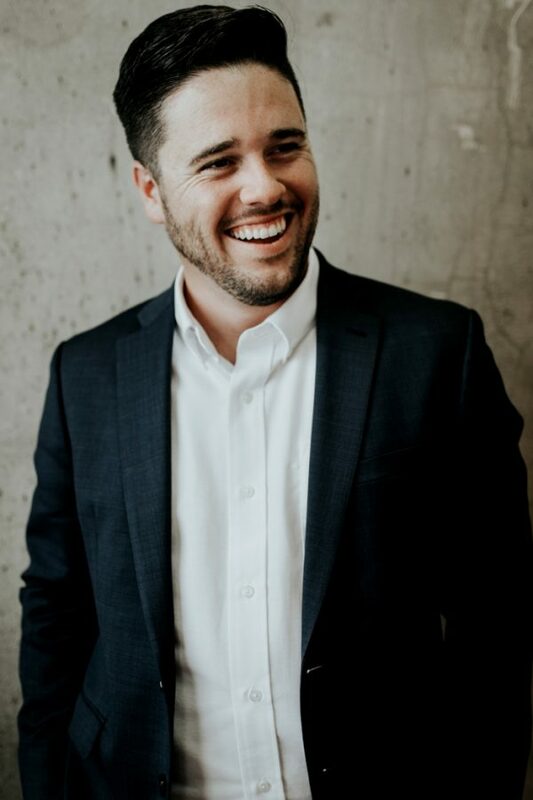 The shoot is created by Sarah Joy Photo and Nicole Veldman Photography with the help of Cait Carr Photography, now let’s have a look at it. 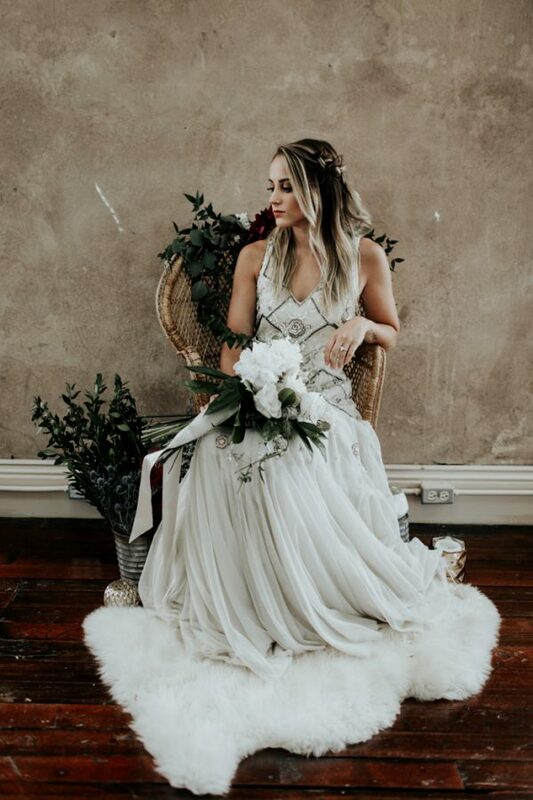 The bride was rocking a stunning embellished wedding dress with a V-neckline, a flowy layered skirt, a burgundy velvet wedding shoes and a braided half updo. 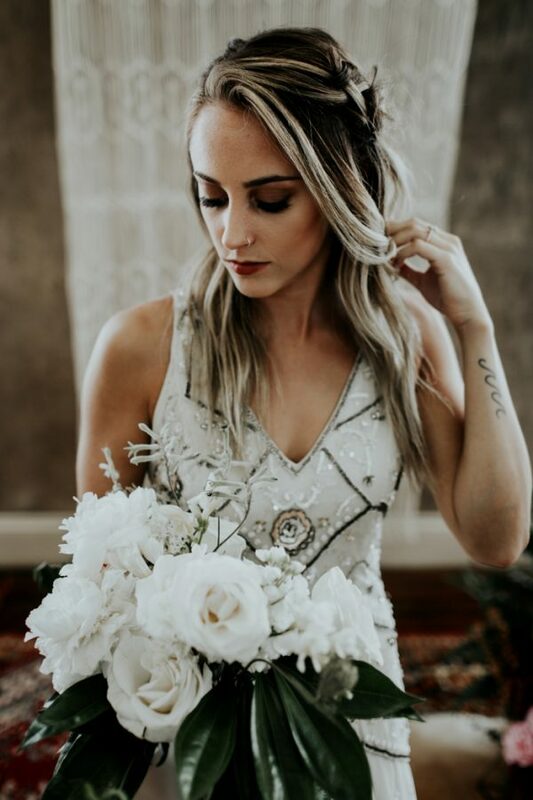 She was carrying a gorgeous white bouquet. 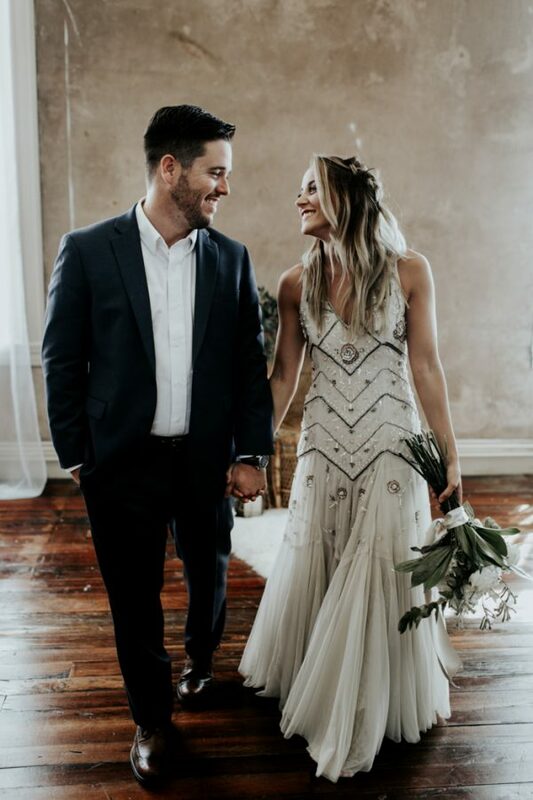 The groom was rocking a simple black suit with no tie to match the girl’s boho feel. 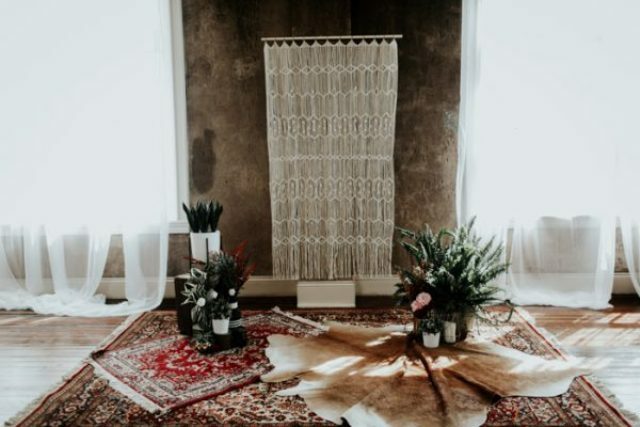 The ceremony space was amazingly bohemian, with lots of textures: many rugs, a macrame backdrop, and lush greenery and blooms. 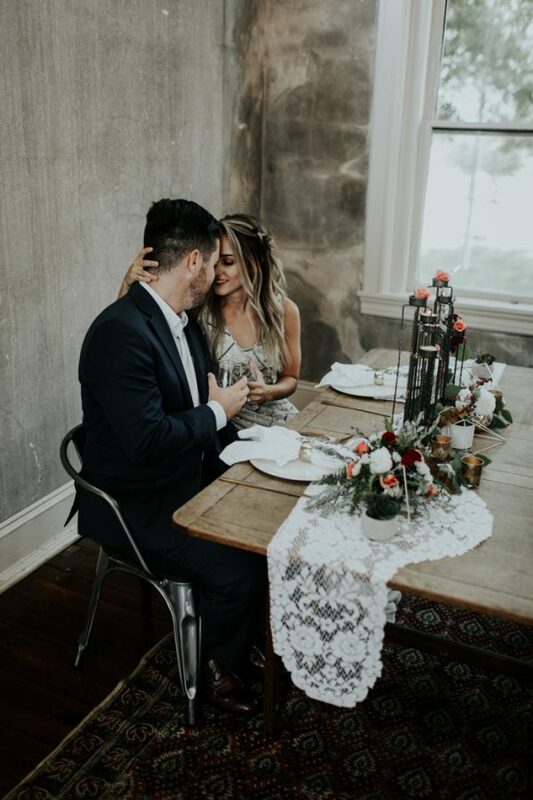 The wedding tablescape was also done in a perfect mix of boho and industrial – a great source of ideas for all the couples that want such styles. 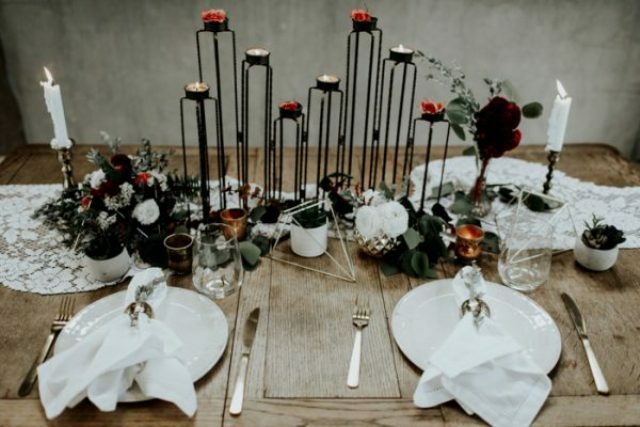 The wooden table was decorated with a lace table runner (no tablecloth), geometric decorations and candle holders, black metal candle stands, white and deep red blooms. Gold touches added a refined feel to the table setting. 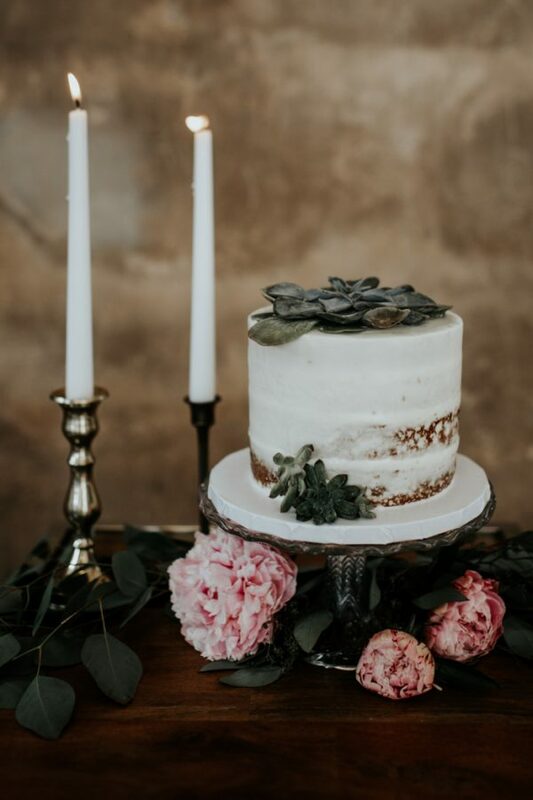 The wedding cake was naked, with succulents and pink blooms.